The procedure for uploading new image creative is very straightforward. Start with navigating to your advertiser in the platform, and then select the "Advertiser Name > Creatives" section in the left navigation bar. On the top right click the "+" button, and then select the "Image" option from the dropdown to start configuring your first image creative. Please note it is no longer possible to upload Flash Creatives. In the "Uploads" tab you can drag & drop the images you want to add. If there is more than 1 image, the creative names will be appended with the creative size automatically. The image formats must be either GIF, JPG or PNG. In the "Settings" section you can enter the basic details for your creative. Name: Enter the name for the creative(s) you want to add. Landing Page: Enter the landing page of the creative(s). Add Creative to a Set: Choose whether you want to add your creative to a folder (this is optional). If you want to do this, select either "Existing Set" and choose from your available sets, or select "New Set" and enter the name for your new creative set. Ghostery AdChoice (Top Right): We've selected this option for you by default. 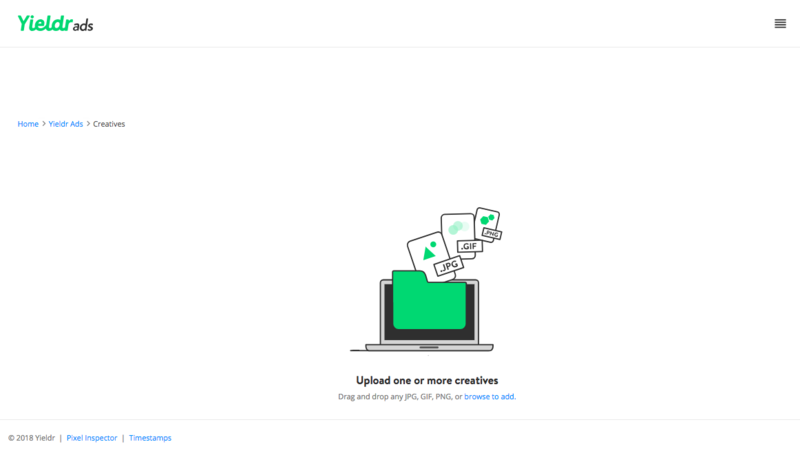 By clicking the settings icon, you can choose the adchoice icon to appear in a different position on your creative. Integral Ad Science: If you want to add viewability tracking to your creative, select this option. It will activate a tracking option that provides information on how long and how much of your creative was in view when served. In the "Trackers" section you will be able to add additional impression trackers. This is optional. Trackers: Enter third party trackers here. In case you also want to be able to serve the creative on secure inventory, please provide a secure tracker as well (https version). Format: At the bottom of the page you need to select which type of format the tracker should respond with. "Image URL" is the most common type, which is why this option is selected by default. Please do not forget to click the "Add Tracker"button at the bottom right of the page, otherwise the trackers will not be added. After you've completed this step, you're almost done. You only have to save your creatives by clicking "Create" and the top left of your screen, and the creatives will be ready to be attached to a campaign!